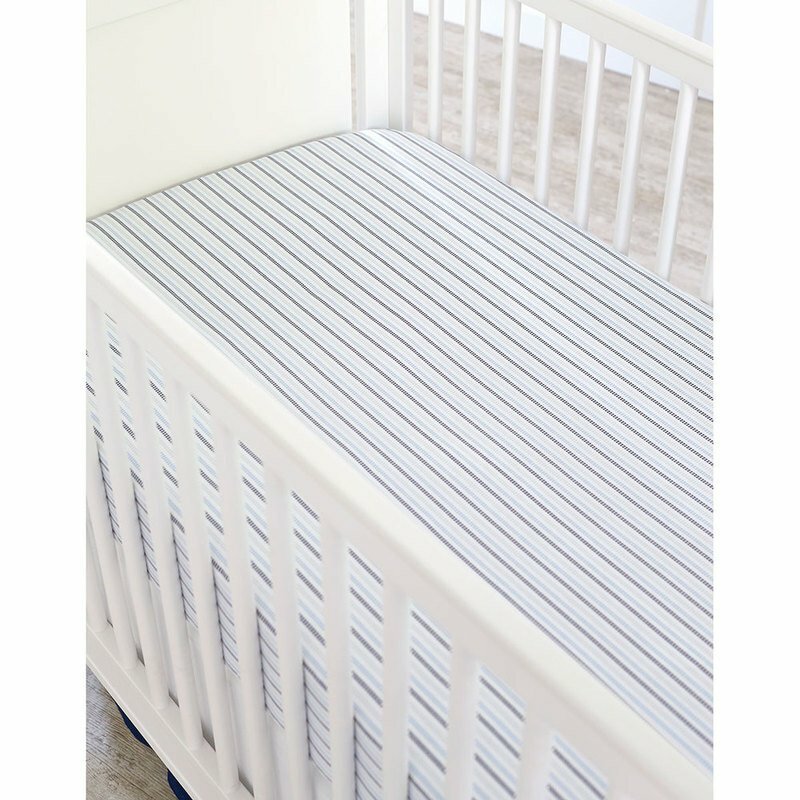 Send your baby to sleep on the softest of clouds with the Dream Fitted Crib Sheet by Just Born®. The silky-smooth cotton is easy on baby’s skin and designed for ultimate comfort during night time or nap time. Simply slip this fitted nursery sheet over your little one’s mattress to provide a clean and gentle place for him or her to sleep. The adorable printed broken stripe pattern in navy and silver gray provides a soothing and stylish addition to any baby bedding collection.